“Cortell has successfully turned information into a strategic asset for Wendy’s New Zealand. Using IBM Cognos, Cortell has provided Wendy’s with state of the art business analysis and insight into customer behaviour. Wendy’s is now able to analyse sales data in near real-time, enabling it to improve marketing decisions in a competitive environment.” - Raymond Skoglund, IBM New Zealand channels manager. The CFO, financial controller, marketing manager and district managers at Wendy’s restaurants now have next-day access to almost all of the sales data captured from its Aloha point of sales solution at each of its 15 nation-wide outlets. Before implementing IBM Cognos TM1, it used only as much as 10 percent of the information and the individual reports had to be laboriously prepared by a sub-contractor. With the browser-based TM1 Executive Viewer, Wendy’s managers can now simply log on and view and query the latest facts and figures and get real information as they make day-to-day and strategic decisions. Wendy’s wasn’t really in the market for a mid-market business intelligence solution. 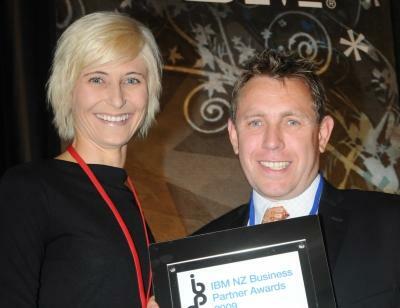 “We had just helped them install a Microsoft SQL Server database,” says Belinda Johnson, director of Cortell New Zealand, the IBM business partner that provided the TM1 solution and implementation services. Cortell was awarded the contract to install IBM Cognos TM1. “There are a number of tasks involved in setting up a multi-dimensional database,” continues Johnson, “such as building the ‘cubes’ with the various data relationships and then designing the dashboards for specific user sets. This is just the first phase of the implementation. Next we’ll work on adding supply chain information and then budgeting, planning and human resources. The advantage of TM1 is that it can take data from many different sources and combine them into valuable business knowledge. The CFO and marketing team use the Executive Viewer every day as they monitor sales and performances. “Before, they had to request static reports from an IT sub-contractor,” notes Johnson.